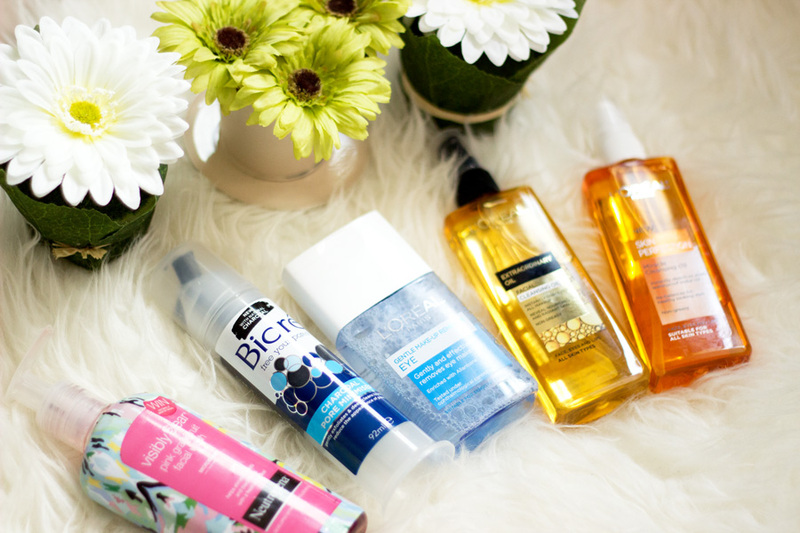 It has been a moment since I posted a drug store skincare haul and I have quite a few products to show. I think I may do a video instead because it may just be way too long a post. However, I wanted to post a few gems I have been recently been enjoying. Well, I use the word drug store very loosely because I actually bought them from Sainsbury's when I was grocery shopping. The Sainsbury's near my house is just amazing when they have deals in their beauty section. I buy majority of my skincare products from Grocery shops because they are much cheaper and I also get loyalty points as well. Win-Win!!. 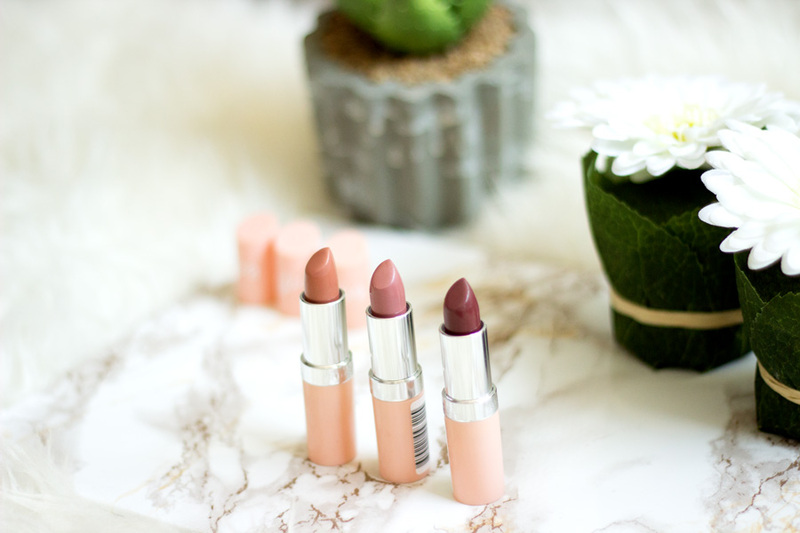 Besides, all the products I purchased were all under £5 each which makes me so delighted especially as their regular retail prices are more expensive than £5. Majority of the products are from L'Oreal because they had a massive offer on L'Oreal skincare products. 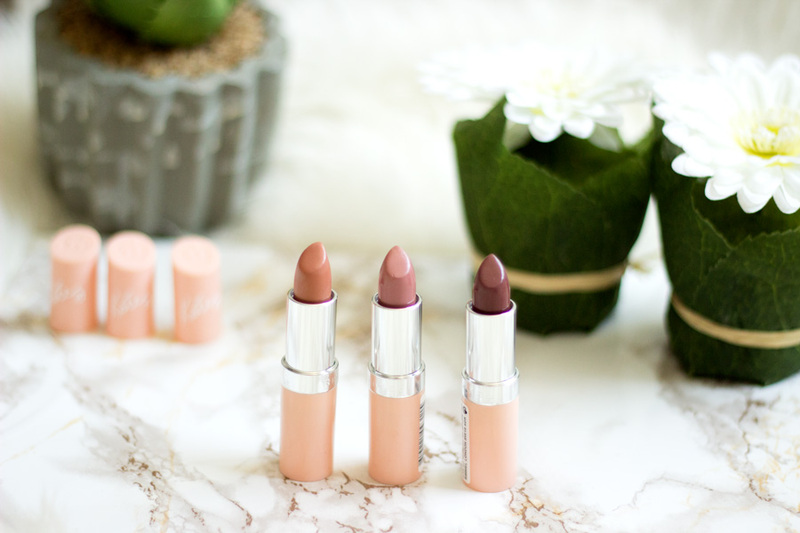 I love L'Oreal makeup and skincare because they are such good quality and I'm not surprised seeing that they own many high end brands. 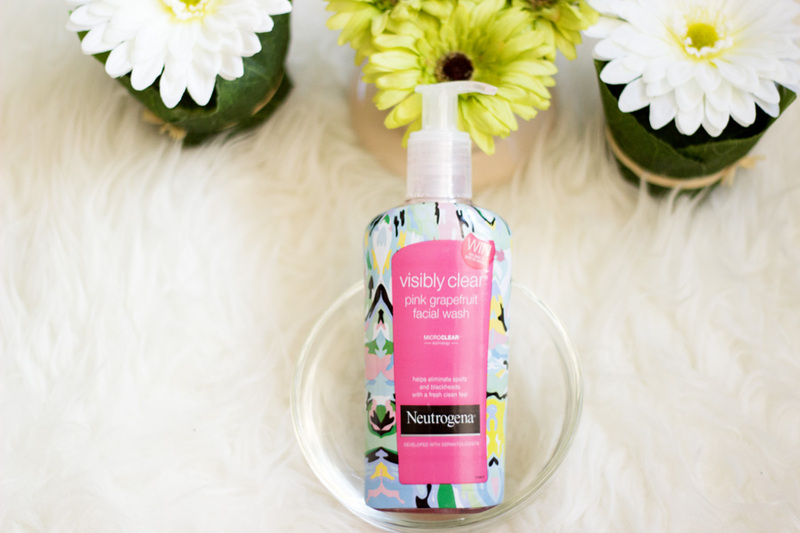 I also picked up an old favourite- The Neutrogena Grapefruit Facial Wash only because I adore the packaging. Right, let's stop the ramble and just jump right into these mini reviews. 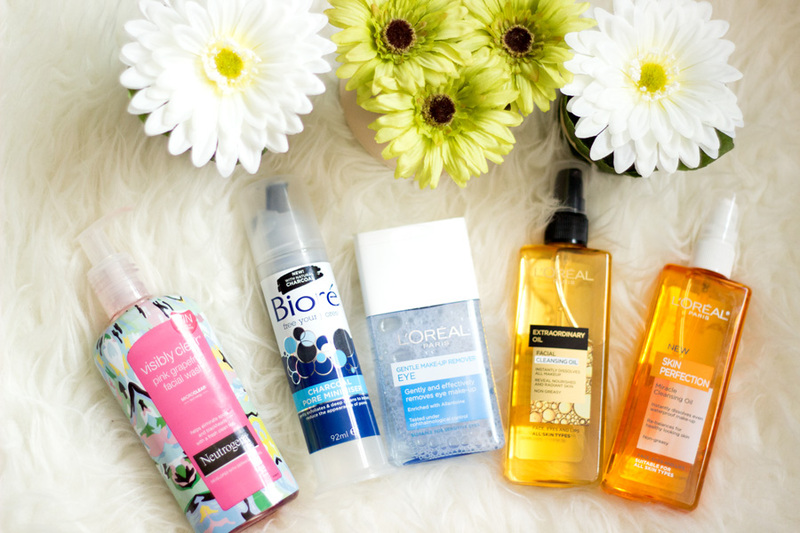 I still think the easiest way to effectively remove all your makeup is by using a cleansing oil. It may not feel like the best way at all because it does feel a bit weird but the results make it worthwhile. 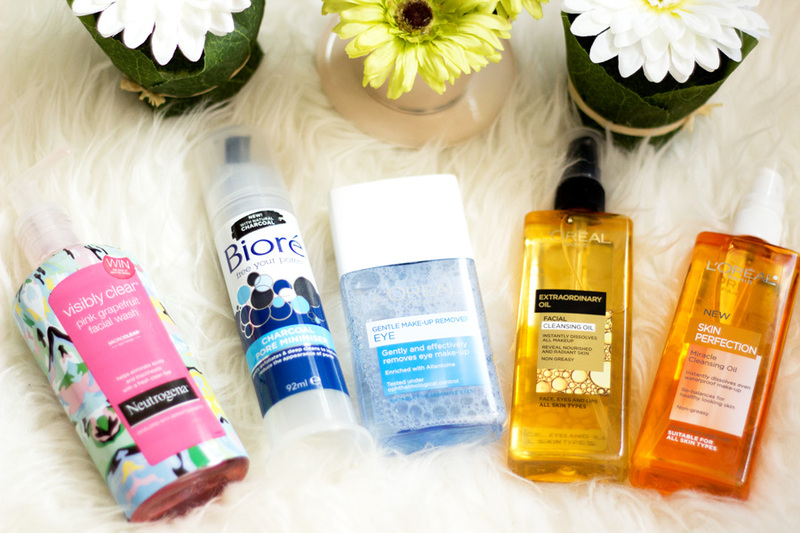 I have tried quite a few cleansing oils and enjoyed majority of them. 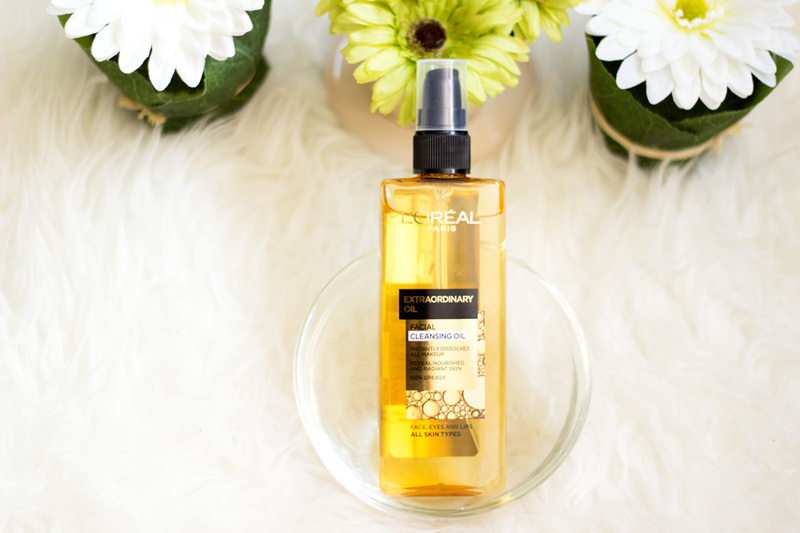 I have seen the L'Oreal facial cleansing oils in store a few times but I never bothered to pick it up until it was on sale for £4.75. I was drawn to the packaging of this bottle and I wanted to know what was "extraordinary" about it as the name suggested. The first thing I noticed is that it almost feels like a dry oil because it is not too greasy. I just dispense about two pumps on my palms and massage my face gently. 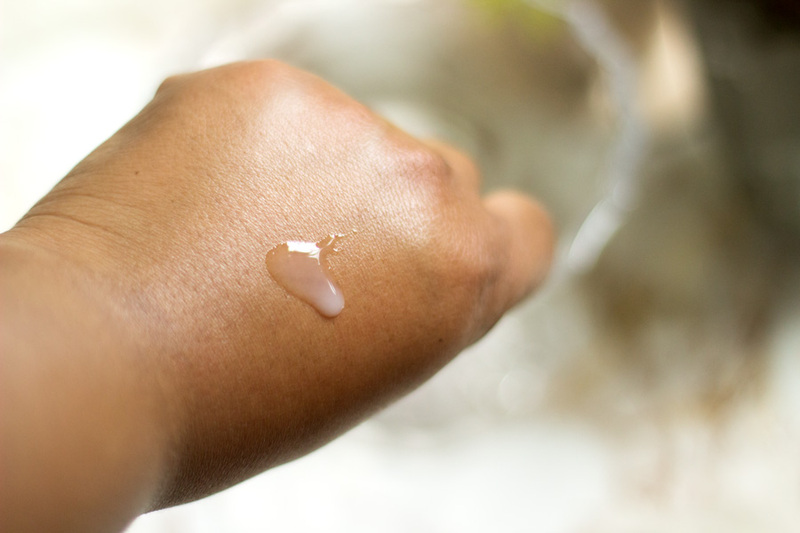 I rinse off with warm water which turns the oil into an emulsified mixture and I have a clean face. Of course, I still go back to do my second cleanse but it makes my skincare routine much shorter. It really works well and rinses off easily which I am delighted with because I don't want to be stuck with extra grease. I am sure you are wondering why I had to pick up two cleansing oils. Yeah, I have asked myself the same question but I don't have any sensible answer. Actually, I was going to pick up just one cleansing oil but I got derailed. I liked the packaging of the Extraordinary Oil but the Skin Perfection Cleansing Oil promised to remove waterproof makeup so I just had to get both. I know that sounds super shallow but at £4.75 each, I could hardly be burning a hole in my pocket. 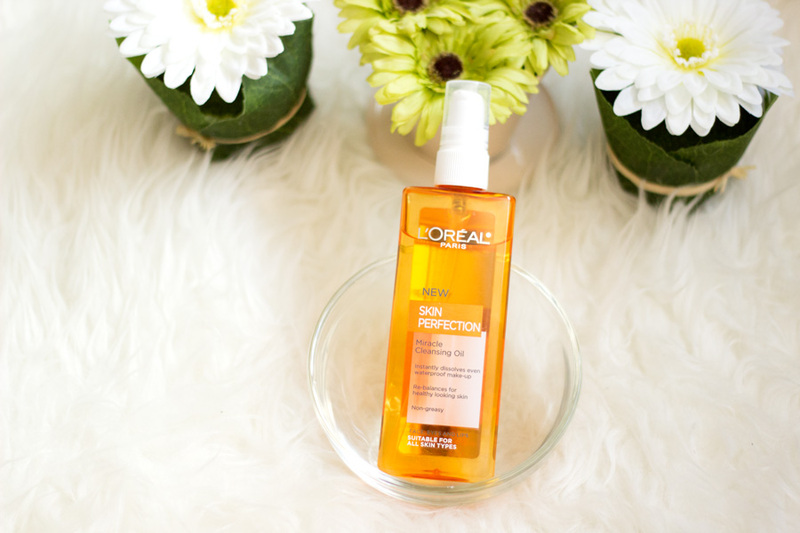 I prefer the L'Oreal Skin Perfection Cleansing Oil because I think it works more effectively than the other version. 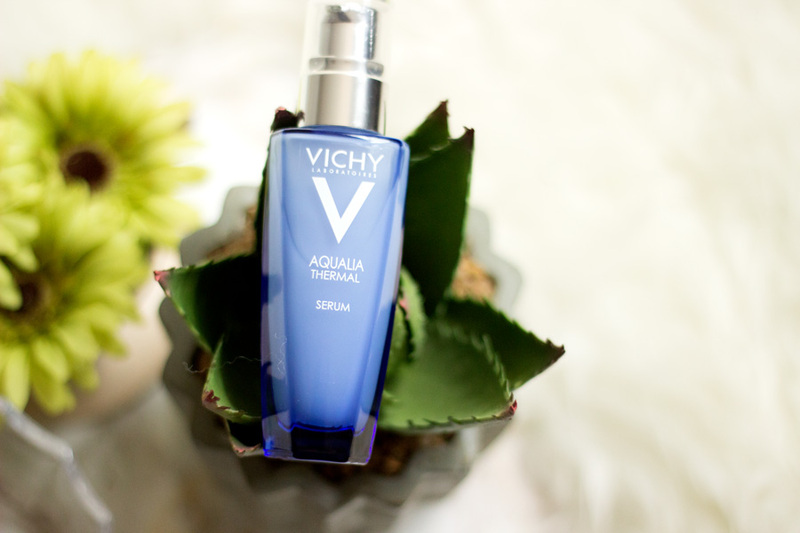 It feels a little more nourishing on the skin which I prefer for the warmer months. I have to say it also removes my makeup a bit better than the Extraordinary version but it is hard to tell if you are not looking out for differences. It is amazing at melting my makeup off including waterproof makeup which I have been reaching for this Summer. 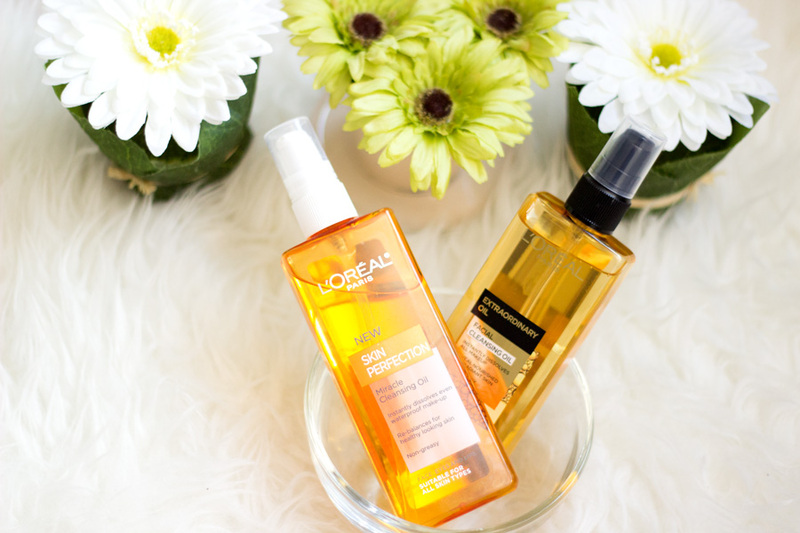 If you are thinking of getting one of these cleansing oils, I really recommend the Skin Perfection Cleansing Oil. 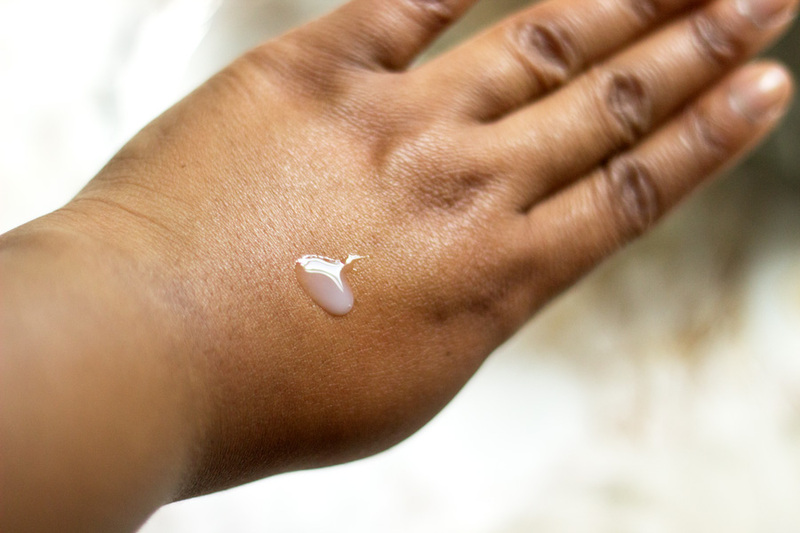 I was going wait to put up a little post on drug store eye makeup removers before talking about this makeup remover. However, it's too precious not to mention. I absolutely love this eye makeup remover and I think it may be one of the best drug store version I have tried. 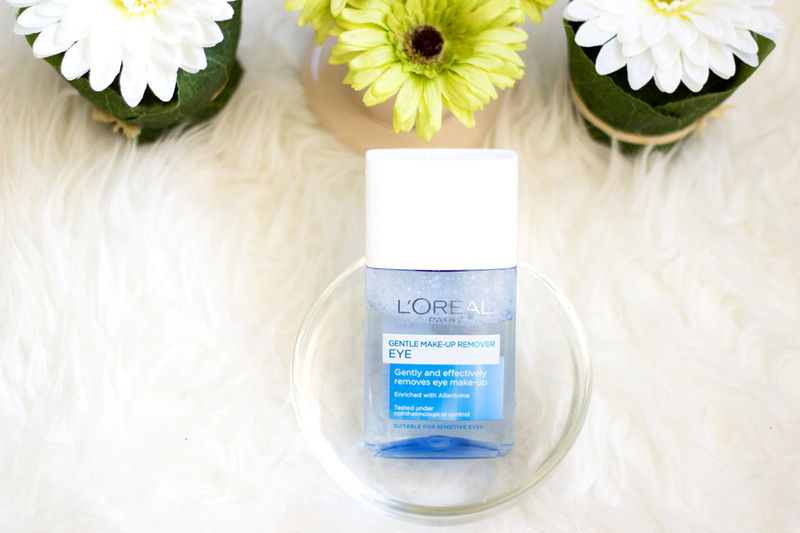 I still love my Rimmel Let it Go Eye Makeup Remover but this L'Oreal version seems much effective at removing my eyemakeup. It easily takes off waterproof makeup including mascara and eyeliners. It does not matter how dark my eyeshadows are, it still goes away with this eye makeup remover. The best part is it does not leave any oily or greasy feeling and it does not sting my sensitive eyes. I really recommend trying this. I got it on sale for only £2.50 and I regret not picking up another one. This is a real throwback purchase for me because I got this last in 2011/12 or so. It's been a really long time but I remember enjoying it when I last used it. It smells so amazing and it really does a good job at cleansing my skin. 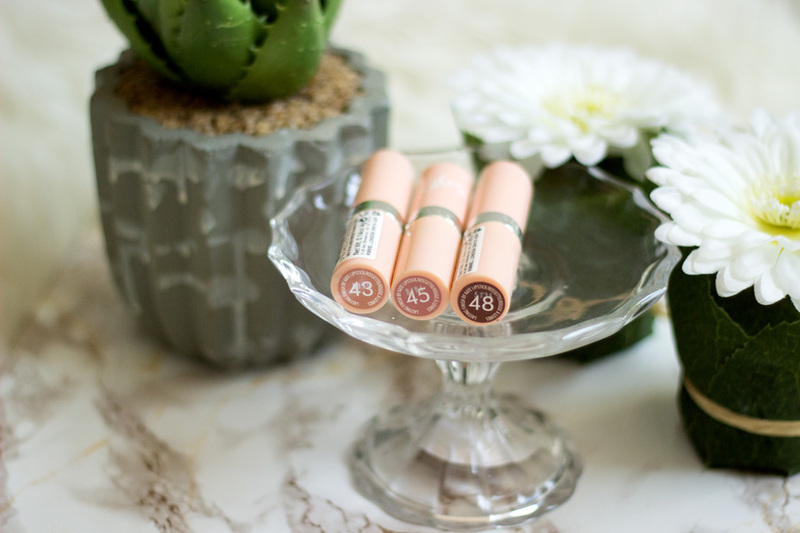 I am a huge fan of Neutrogena products and I love that they always have offers in the drug store. I always stock up on my favourites from the brand especially their Visibly Clear Range. I already said I purchased this mainly because it has such a pretty packaging and I would do so again in a heartbeat. It's so pretty and it is really summer appropriate. However, the product itself works really well with my skin. It feels smooth on application and my skin is really cleansed (not stripped) after use. The Grapefruit fragrance smells so amazing and I always want to use it every chance I have. 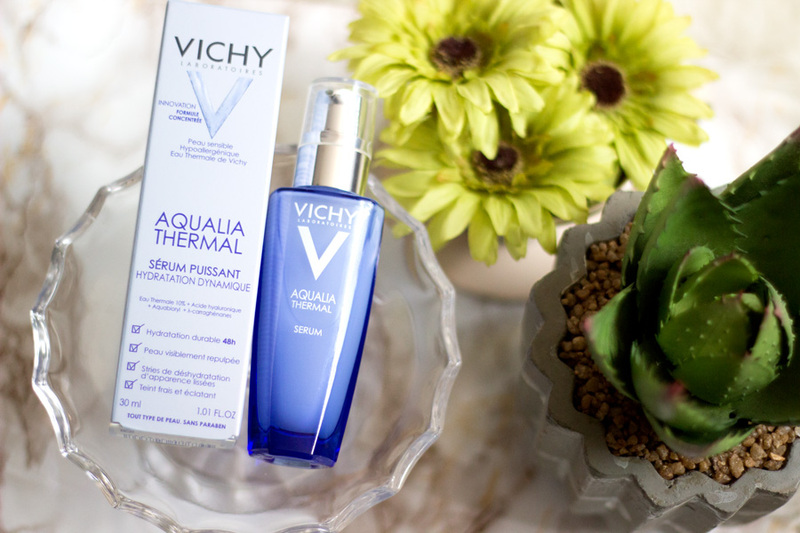 It's perfect for a quick morning skincare routine and it just gives my face a nice zesty feeling to wake it up. I think this is the only product within this haul that I am undecided about. I think I need to test it out a little more to make a final decision if I love it or not. I purchased it because I was looking for a charcoal cleanser similar to the Glam Glow Mud Cleanser. I don't think the Glow Mud cleanser is available in the UK or if it is, I have not come across it. I love using anything with charcoal in it, be it a mask or a black head peel off mask. Charcoal helps in adsorbing and absorbing dirt, grease, grime and any impurities on the skin. The idea of a cleanser with charcoal in it was more than enticing. 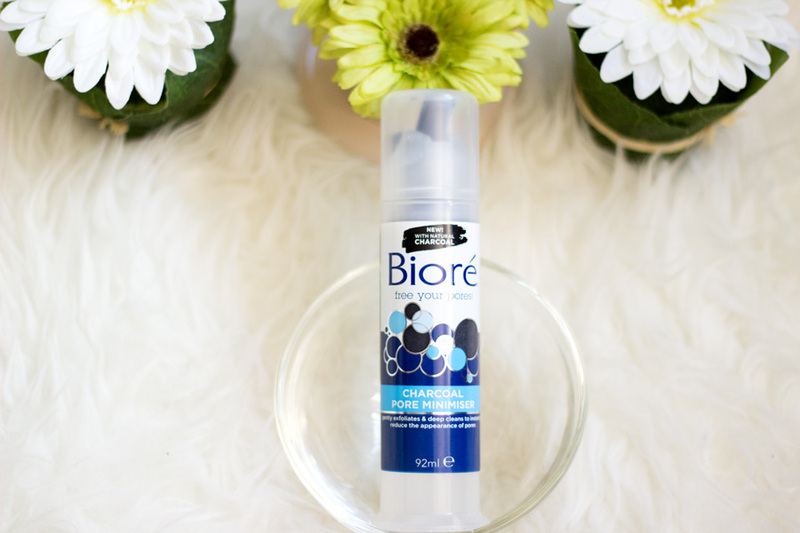 The Biore Charcoal Pore Minimiser comes in a really interesting package which is very similar to Colgate Toothpaste but I actually like it. The product dispenses really well but I think it can be a little wasteful if you are not careful. However, it does a decent job of cleansing my face and I was surprised at how much lather it cooked up. My face feels quite clean after using this but I have not noticed any much difference in the size of my pores. As I said, I am still testing this product so I would report back maybe next month. It was only £4.99 or maybe £4 so I don't think it's a bad amount to pay for this. Facial Oils are skincare products people either love or hate because they are scared it would leave their face all greasy and shiny. However, not all facial oils are created the same or equally. 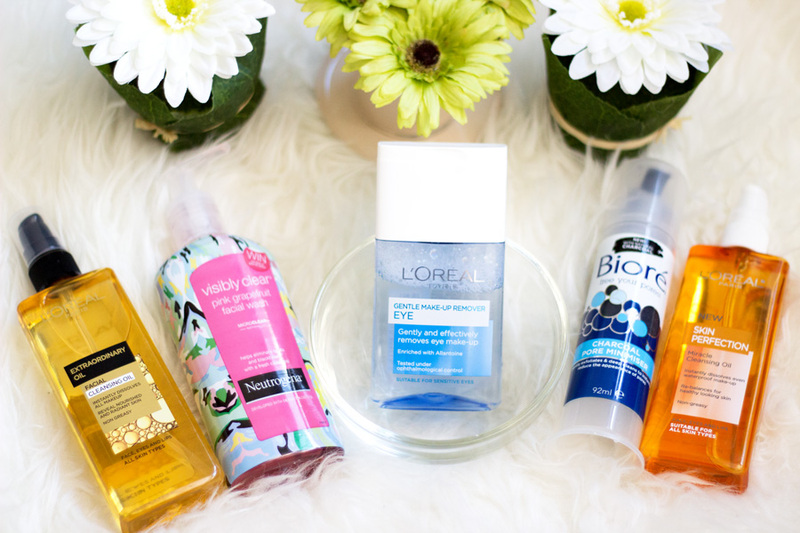 I am a fan of Facial oils but I always choose super carefully because I have combination oily skin. 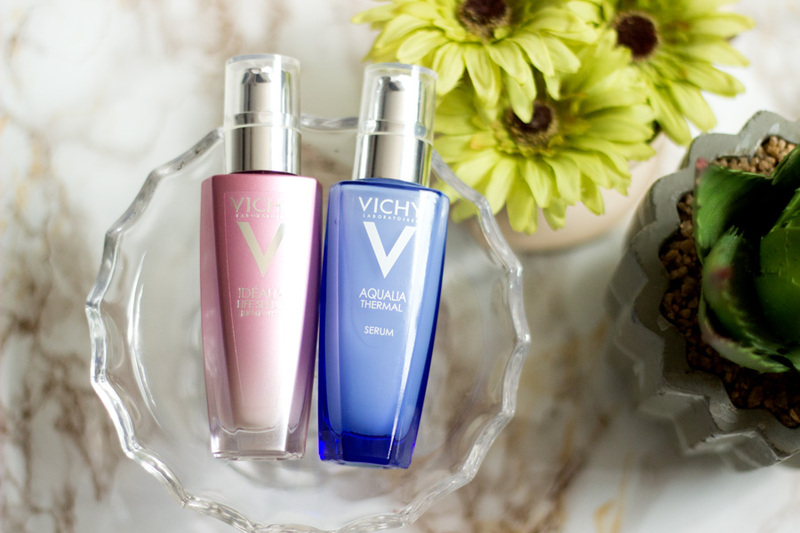 I've had pleasant experiences using facial oils and they have brought the best benefits to my skin. When it comes to oil, I always go for oils that are at least 90% natural because I don't want anything clogging up my pores. I find that the few times I have used dodgy oils, my skin has just gone berserk with breakouts because it could not handle it at all. 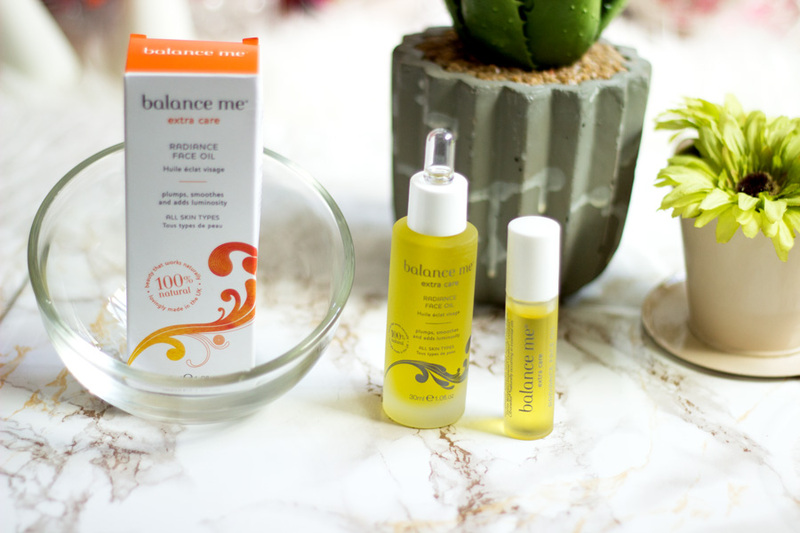 I was delighted to receive the Balance Me Radiance Face Oil* about a month ago and it has been amazing testing it out. 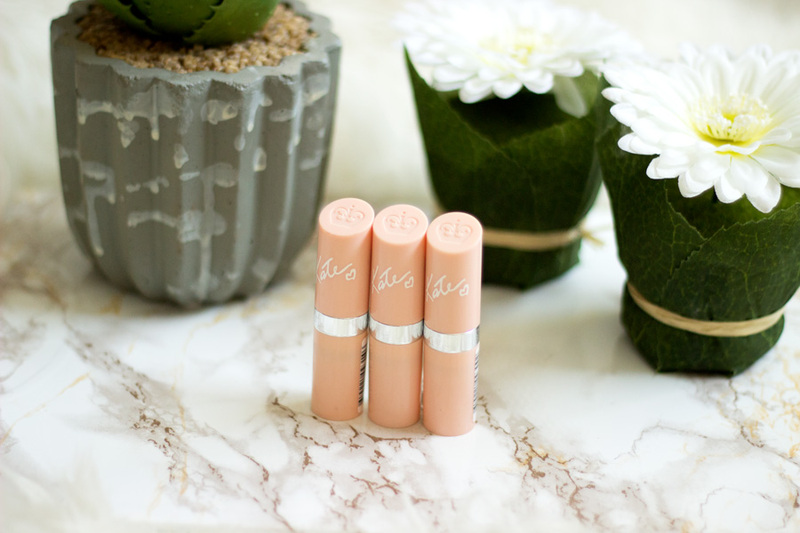 To be fair, it is not completely new to me because I got a mini roller ball version in a Latest in Beauty Box- get the Gloss Edition (reviewed here) so I knew I would love the big bottle. Balance Me in itself is not a new brand to me because I have tested quite a few of their products and I love majority of them. They are very generous in including deluxe samples in magazines especially during Summer. 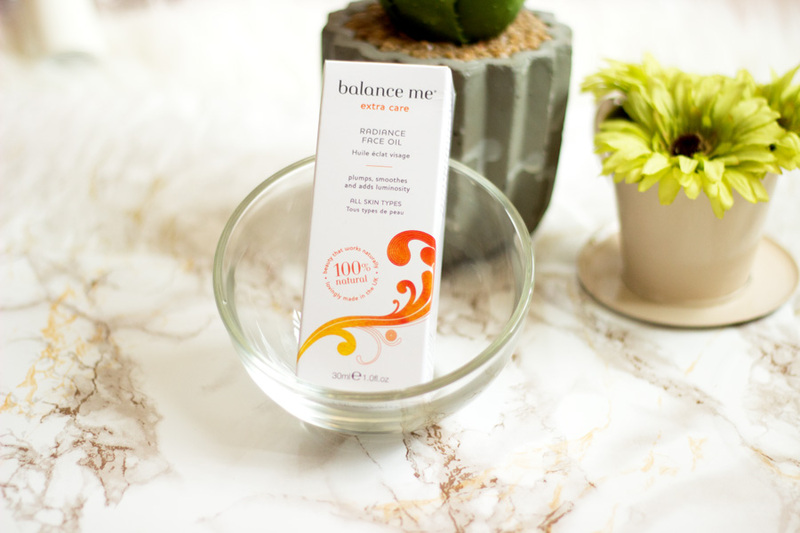 I have tried various Balance Me Samples in magazines including the Balance Me Cleansing Balm, Balance Me Pure Skin Face Wash, Balance Me Radiance Face Mask, etc. 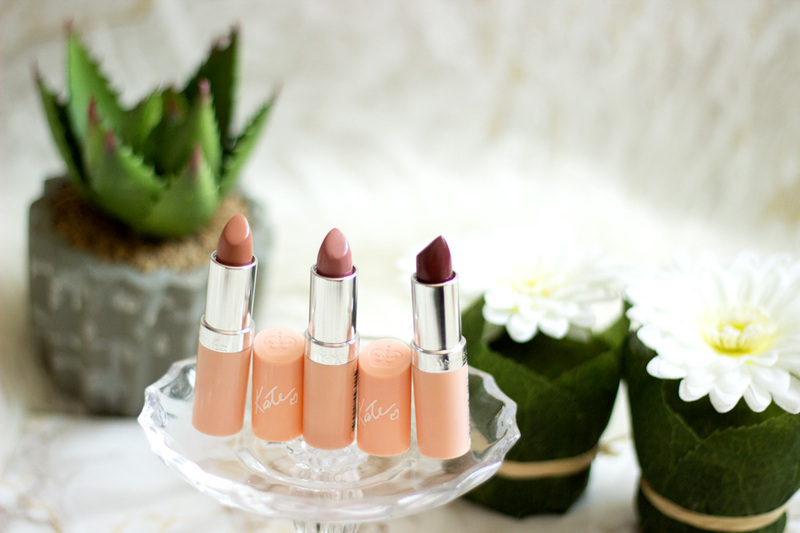 I love this brand because they use very natural ingredients and I think that's really commendable. 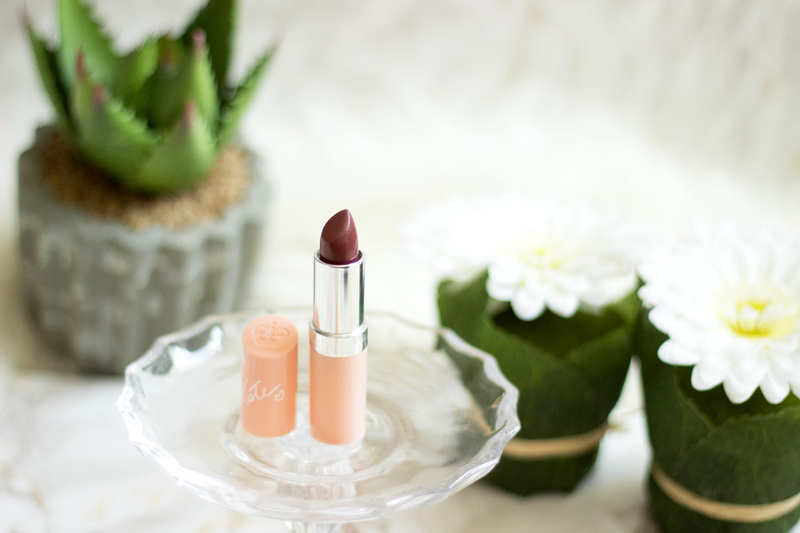 I won't say all the products I use are natural and organic but I always choose anything natural when and where possible because it is best for my skin. You all know I had to talk about the packaging. I love that the Balance Me Radiance Face Oil is housed in this beautiful glass packaging complete with a pipette. It takes me back to when I was in university studying for my Pharmacy degree. We had so many lab experiments where I always hoped to get the right titre value because failing to get this meant starting the experiment all over again. Those days were so much fun and I actually miss them!!. Anyway, let's not digress from the topic at hand. In this bottle there is 30 ml of oil which may sound small but trust me a little goes a long way. I have used it for almost a month now and I still have a lot left. The pipette dispenser ensures that only the amount you need is dispensed thereby minimising waste. I just love everything about the packaging because it is pretty and practical. 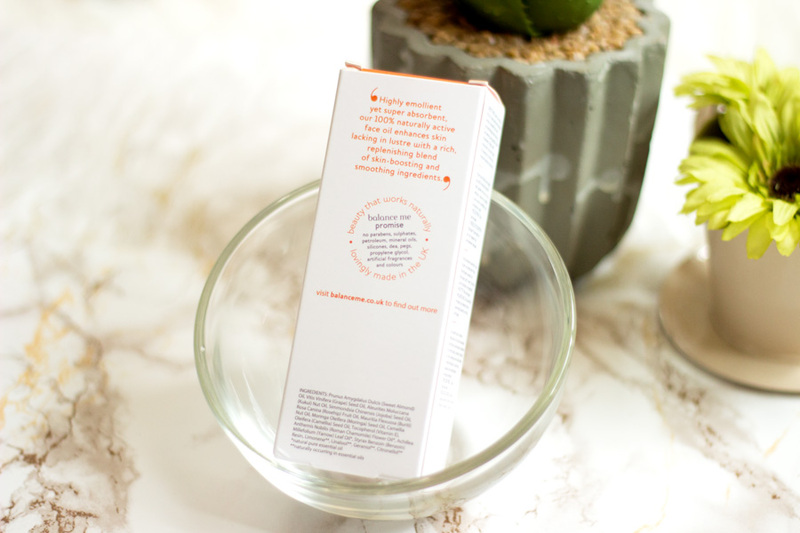 The first thing I do when I get a new product, especially an oil, is to check out what the ingredients are. You see our skin is biggest organ in the body and any and every thing can get through really easily. One has to be super careful with what you put on the skin because it is quite permeable and things just go straight into the body. I was delighted to see that all the ingredients in this lovely facial oil are 100% natural and they are oils I have tried separately at some point. 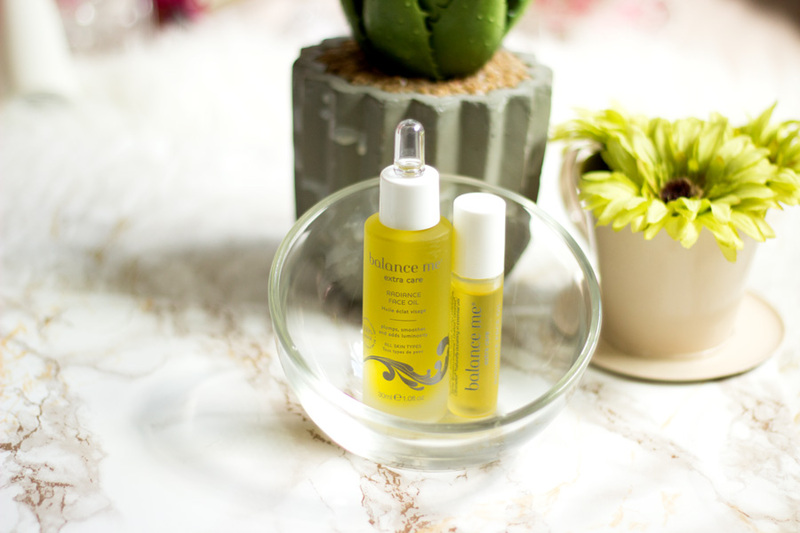 The Balance Me Radiance Face Oil has an excellent mix of hand picked oils including Sweet Almond Oil, Grapeseed Oil, Kukui Nut Oil, Jojoba Oil, Rosehip Oil, Buriti Oil, Moringa Seed Oil and Camellia Oil. 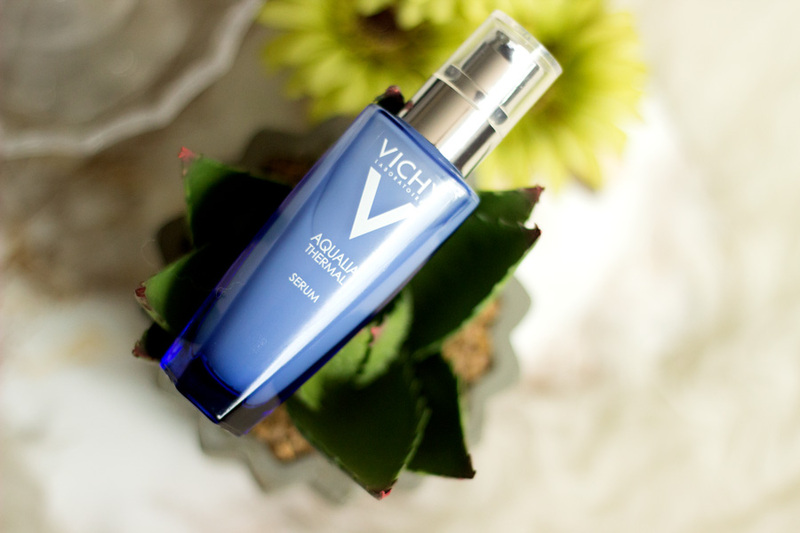 It is also enhanced with ancient skin conditioners including Yarrow and Benzoin. You can't get more natural than this, trust me. 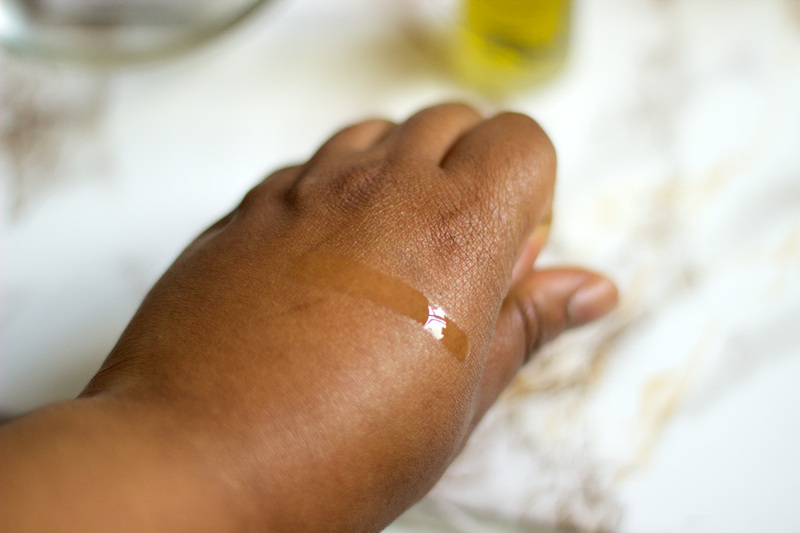 I am not a skincare expert by any means but I do know that Rosehip oil is amazing for blemishes and scarring. 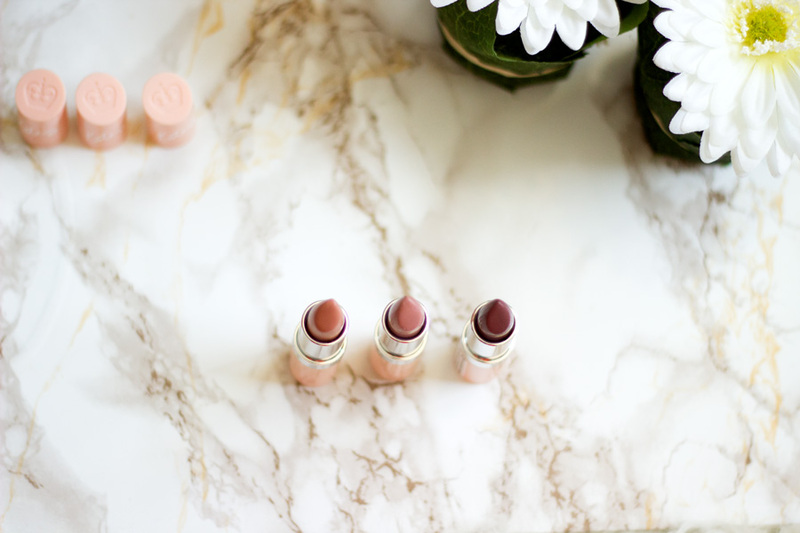 Sweet Almond oil and Jojoba oil are all amazing for improving the skin's natural lustre and they add some radiance to the complexion. One thing I am impressed with is the texture of the oil. 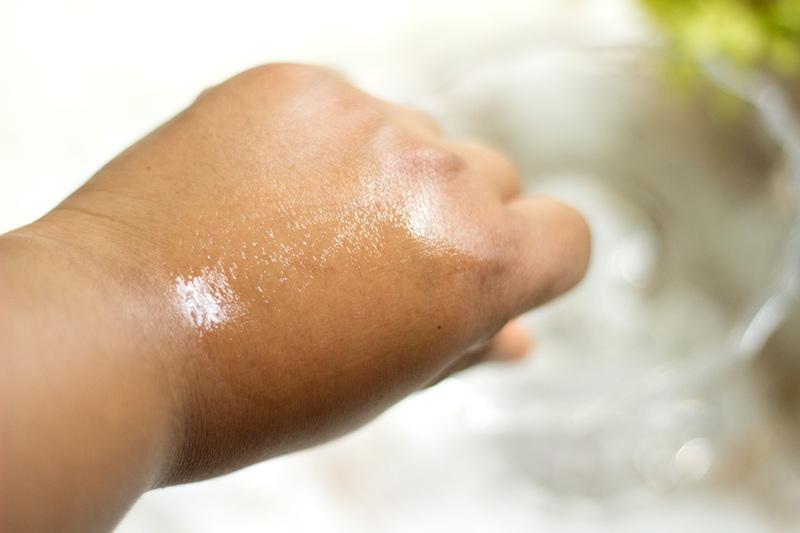 Let me explain, you know how some oils sit on top of your skin leaving you with a greasy feeling. Well, this is not one of them. It feels moisturising when you use it and it absorbs really quickly. You can see an evident lustre to the face but there is no greasy feeling whatsoever and I am really impressed with it. It is straight forward to use because the pipette makes it super easy. It can be used in the morning and at night but I mainly use it at night during Summer. 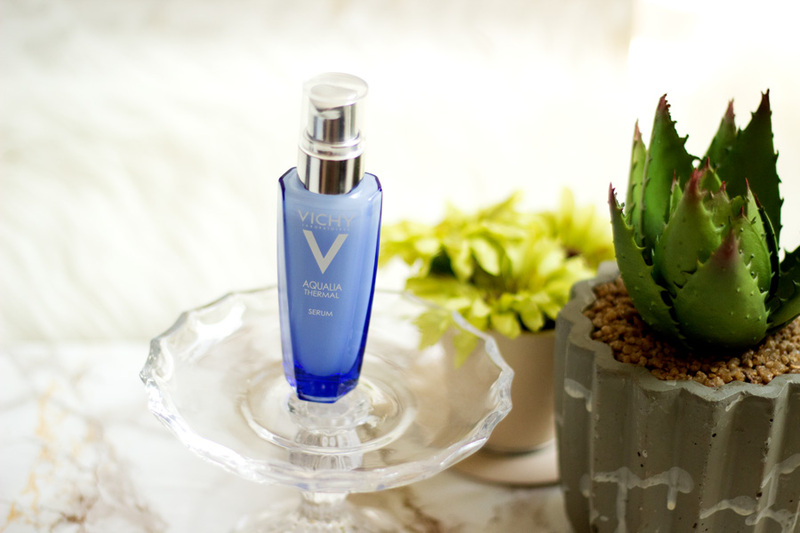 I know I would be reaching for it both day and night once the season changes so I can still maintain my plump radiant skin and complexion. At the moment, I just dispense two drops in my palm and warm it up a bit by rubbing my palms together. Next, I massage my face and neck (don't forget your neck, people) with it and I just love the glow I get. The good thing is my skin still feels so plump with a glow the next morning and this always amazes me. 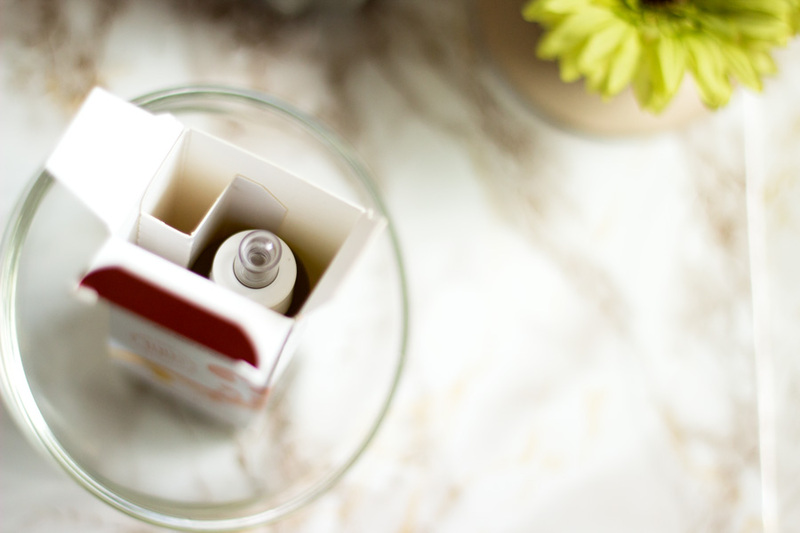 When I just had the roller ball, I just applied it directly onto cleansed face and it was still super easy to use. 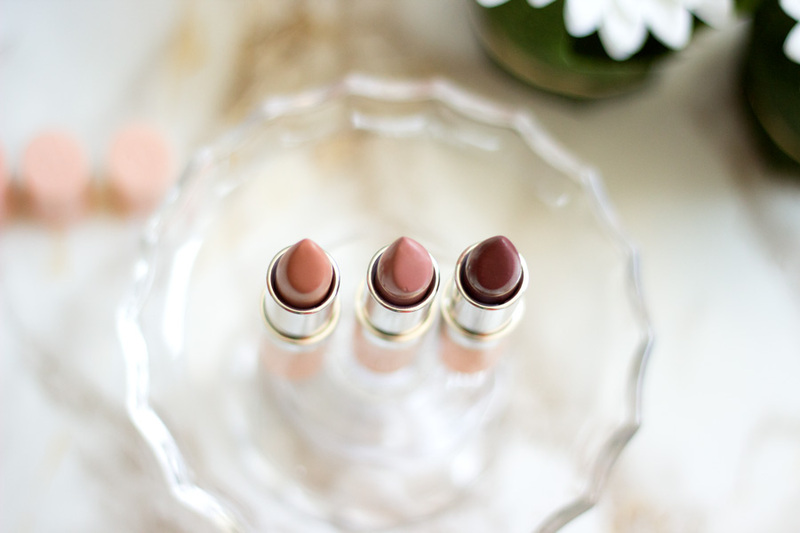 If you have specific blemishes you want to target, you can just apply it directly to the spot and massage it in. It is recommended that you use this on its own or under a moisturiser and I have tried both methods and enjoyed the results I got. However, I prefer using it just on its own at night without any moisturiser because I feel it does a good job by itself. One thing I would say is I am not a huge fan of the way it smells. I am a fan of lovely fragrances but this smells very organic which I am sure many people would like. I am used to the smell now and I don't think it bothers me as much as when I first tried it. However, I appreciate the fact that no added preservative or fragrance was used in this product which is why it maintains its natural fragrance. 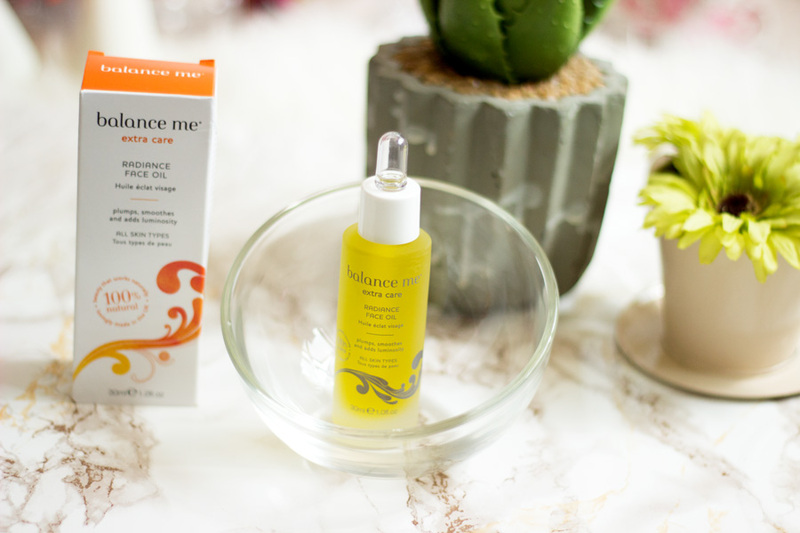 I have read quite a few reviews on this lovely Balance Me Radiance Face Oil and every body agrees that there is an evident glow the next day. 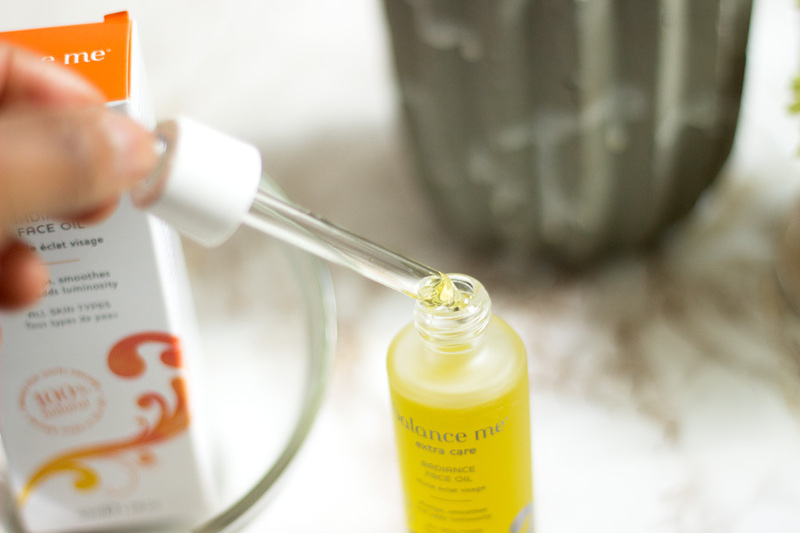 It is not called Radiance oil for nothing because it really lives up to its name. Once I massage my face with it, I see an immediate radiance and I don't mean shine by any means. 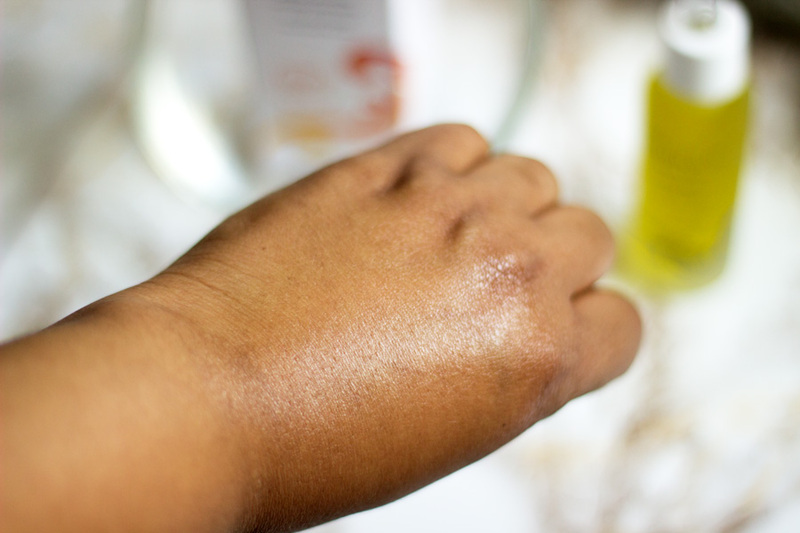 It is not uncommon to get a shine when you use any oil but radiance/glow is totally different from a shine. A shine feels reflective and greasy while a glow/radiance feels like you are lit from within and you just look very healthy. Another benefit I have noticed is fading of some of my blemishes. 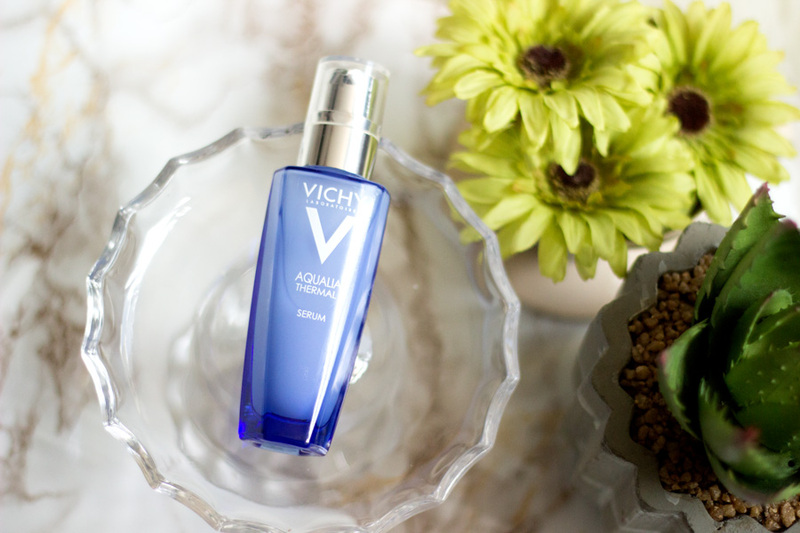 I had a really dark blemish from a naughty spot a few days before I received this facial oil. 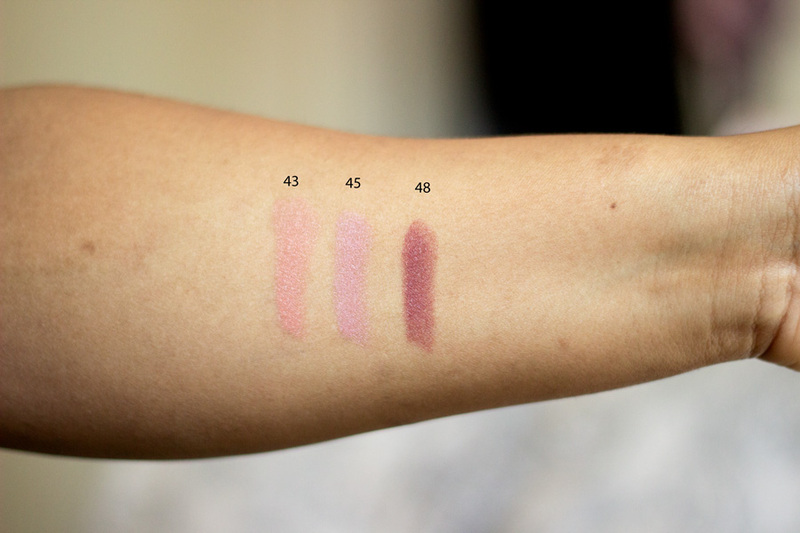 Upon using it regularly, I have noticed an improvement in its appearance but I would not say it has completely faded. I find that natural oils and ingredients fade blemishes slower but in an even way that leaves your skin supple and not stripped. I actually prefer it this way. I am looking forward to still using it continuously because I know it is effective and I am keen to see good results. If you suffer from dull skin or dry skin, I really recommend using this to add some oomph to your complexion. 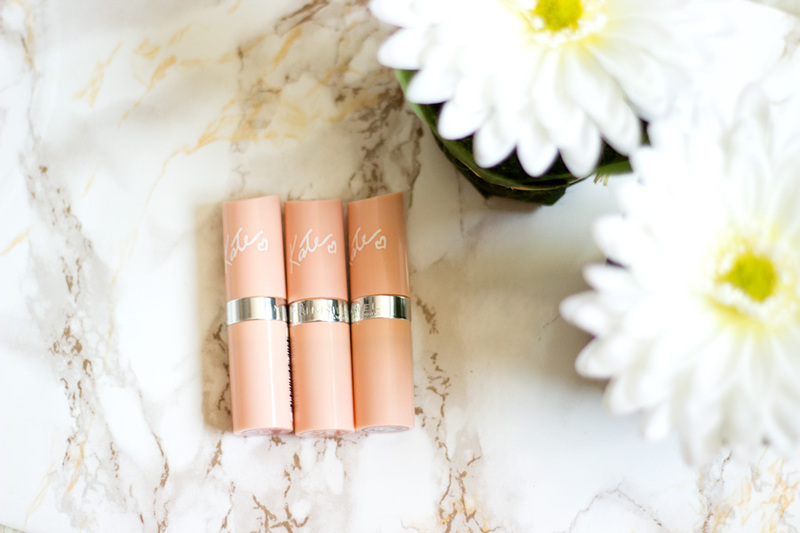 I also find that it is really useful to layer it on top of hydrating moisturiser or serum to lock in the moisture all day. I am sure you already guessed right; it is not a particularly cheap oil at £30 for 30 ml. However, I already mentioned that you need so little for your face. I have used this for a month now and I have hardly made a dent (well, not a dent but you know what I mean). The pipette really helps you manage the amount you use so there is little chance of waste. I see this bottle lasting me for at least 6 months even if I use it every morning and night. I think it is really amazing value for money. However, if you want to give it a test-drive before investing in it, I suggest trying out the 15 ml Roller Ball for £15. It is smaller and easier to carry around but I think it may dispense the product a little more than the pipette does. 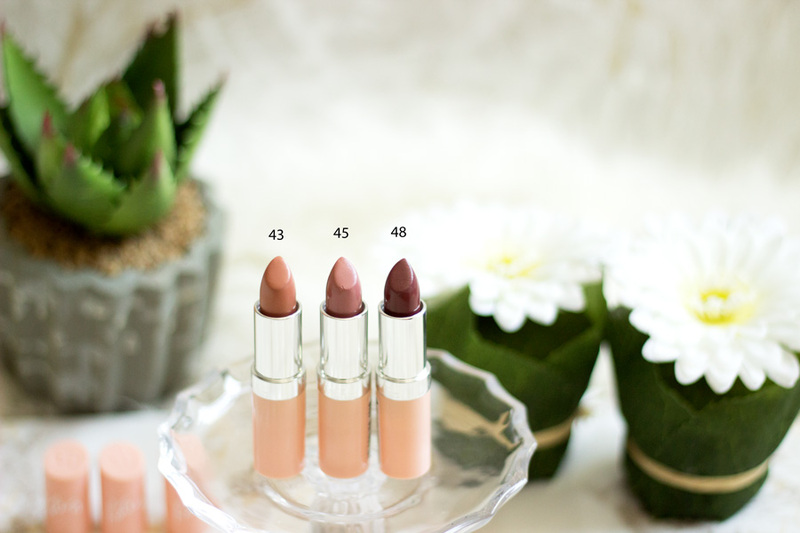 I also recommend checking out beauty boxes to see if there are any samples included because you would pay way less to get the 15 ml version. 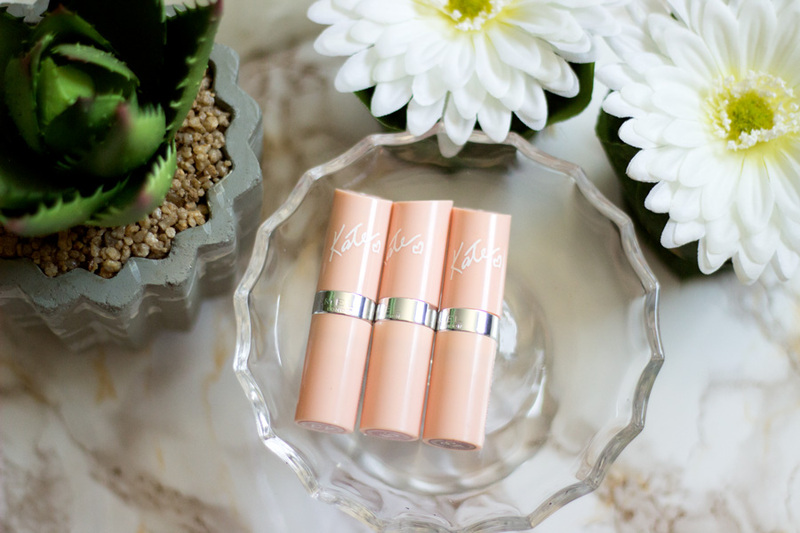 I already mentioned I got mine from the Latest in Beauty Glamour Power Box (now sold out). I also saw they have a 15% discount on the Balance Me website if you sign up to their newsletter. 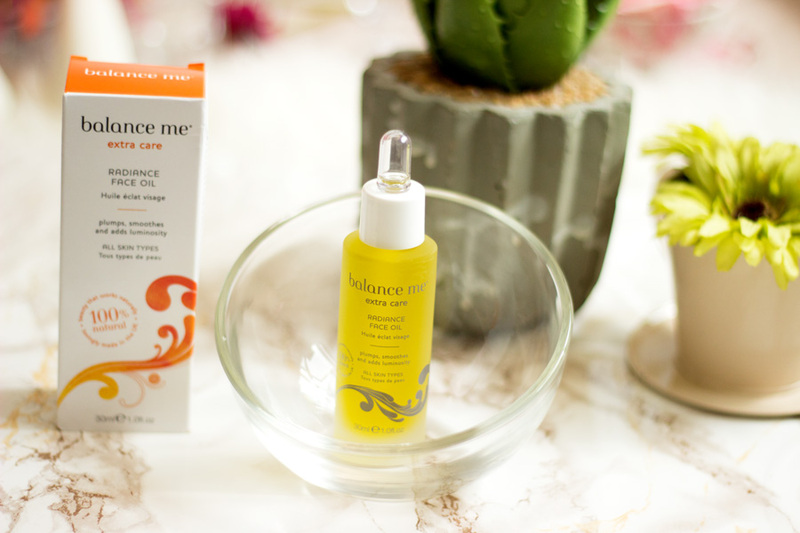 I am so pleased I had a chance to try the Balance Me Radiance Face Oil. I take the 15 ml sample with me when I travel because it is so travel friendly and I have not had an issues with leakage from it. It is well secured and I think the roller ball allows you apply it to areas that may be difficult to get to. 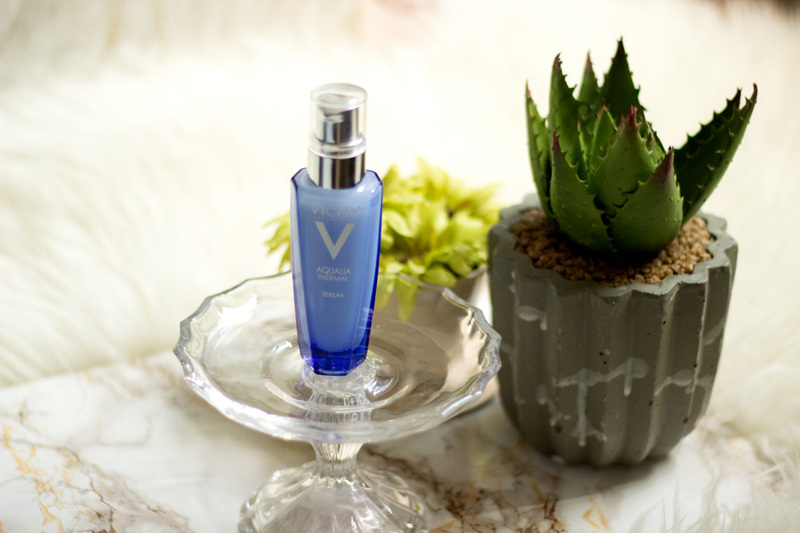 I love the results I get and it really helps balance out the production of oil in my skin. I know many people with combination or oily skin shy away from using any extra oil but this oil helps balance out the oil levels. 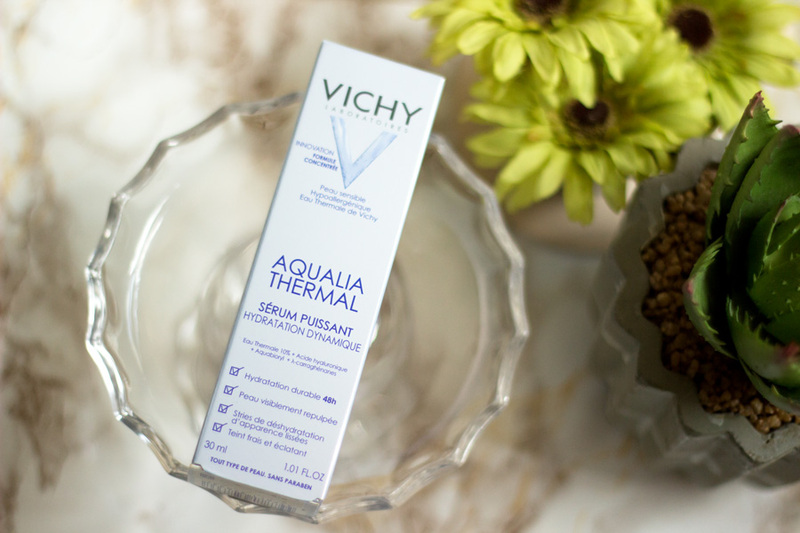 I have thoroughly enjoyed using it through this season and it is an essential staple in my skin care routine for all seasons. 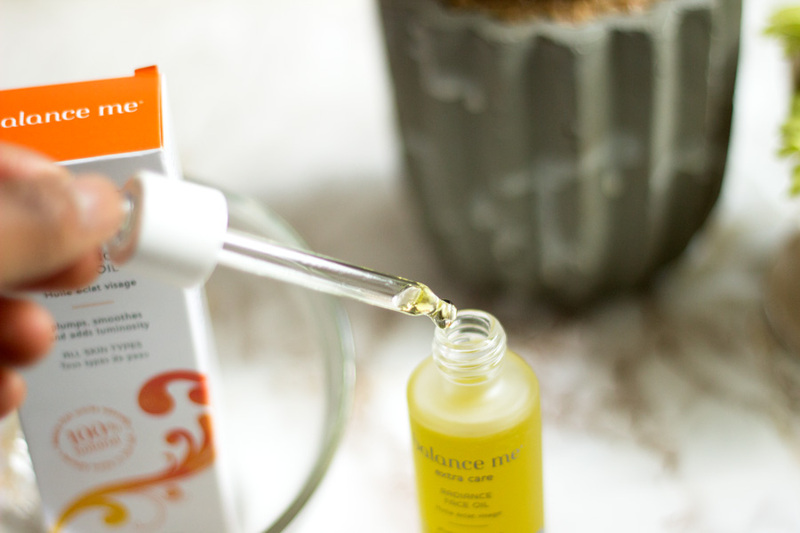 Have you tried the Balance Me Radiance Face Oil? Let's just say I am slowly turning into a perfume/fragrance junkie and I am not ashamed to admit it. I remember last year, I had a sizeable collection of fragrances but this year that collection has doubled. An updated perfume collection will be up soon but I wanted to have some reviews of those fragrances first so it is not a super long post. 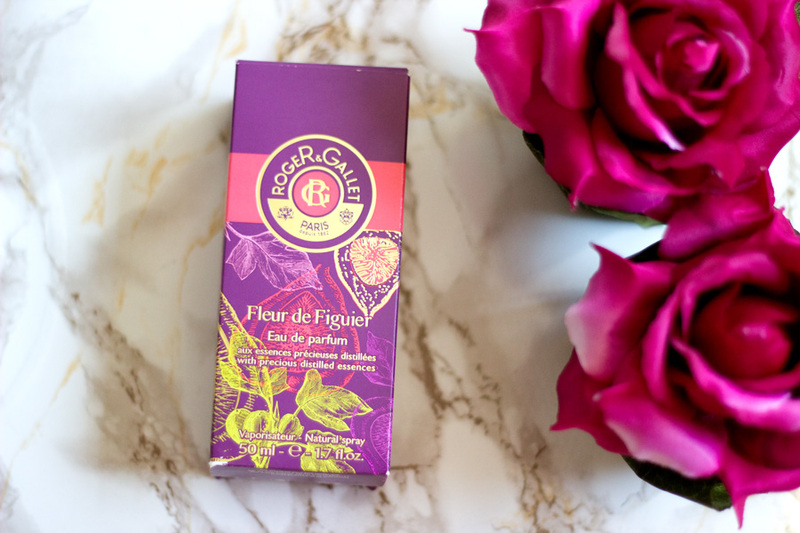 I was lucky to be sent this lovely Roger & Gallet Fleur de Figuier EDP* and it is one fragrance I have absolutely enjoyed. 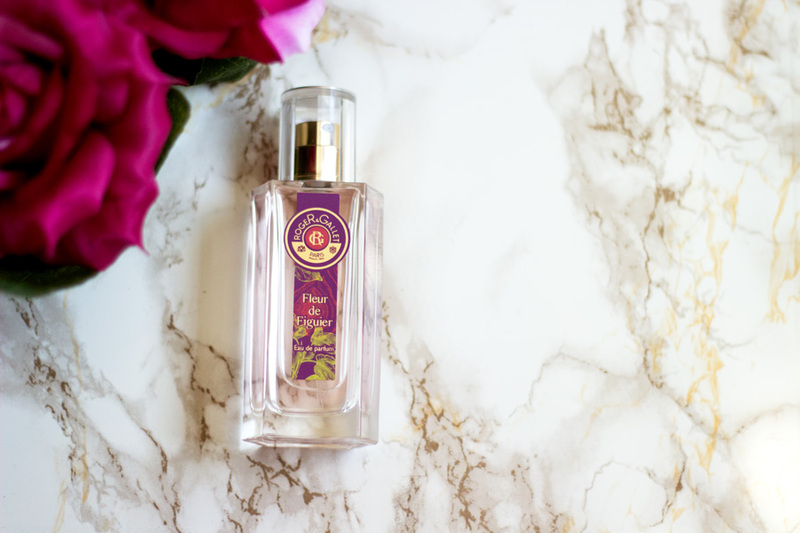 Roger & Gallet are well known for their amazing fragrances used in their shower gels, body creams and body mists.They are one French brand that has always been quite close to home because they are stocked in Marks and Spencer and other online stores. However, this is the first EDP they have ever produced so you can imagine my delight when I received this fragrance almost a month ago. I am not sure you may remember this post where I told you about its launch back in May. It was called the #distillinghappiness campaign where samples of this fragrance were given to people outside High Street Kensington Station along with bouquet of flowers. Sadly, I missed all the fun because I was away in Scotland but I heard it was such a lovely campaign and many people were surprised with bouquets of flowers.Who wouldn't be? I love flowers and I think getting one for free would definitely make anyone's day. As mentioned earlier, most of their other fragrances are mists (Eau de Toilet-EDT) so they are not quite as concentrated as EDP although they still smell amazing and last a good while compared to other EDTs. This fragrance was designed by Francis Kurkdijian and there is actually a whole video where he speaks about the process behind creating this amazing fragrance. I found this out by scanning the QR code at the side of the fragrance packaging and I thought it was pretty cool. I always scan QR codes when they are available on packages. 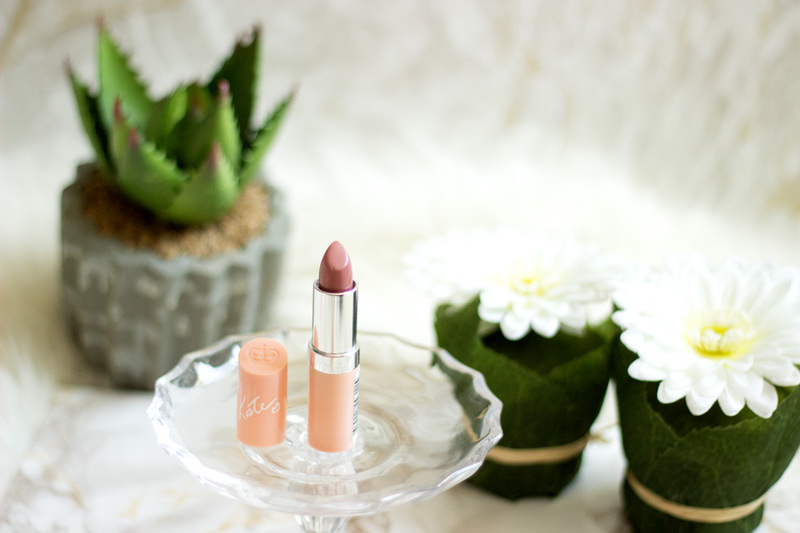 I absolutely love this packaging because it screams Spring and Summer. It looks very feminine but in a classy "not in your face" way. 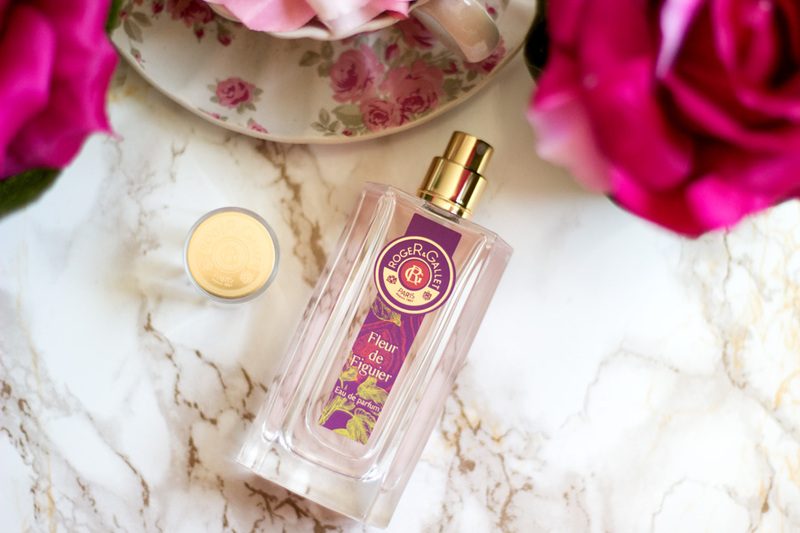 The fragrance is housed in 50 ml Glass Flacon which is transparent (I think it may have pink hues to it) and it has some pink and purple flowers details on the label. The outer packaging is so pretty with the same pink and purple colour scheme going on. I enjoy looking at it and I am seriously considering getting a small stand for all my fragrances especially ones with pretty packaging. I know people say it is not ideal to expose your fragrances to light but some bottles look too pretty to be hidden. 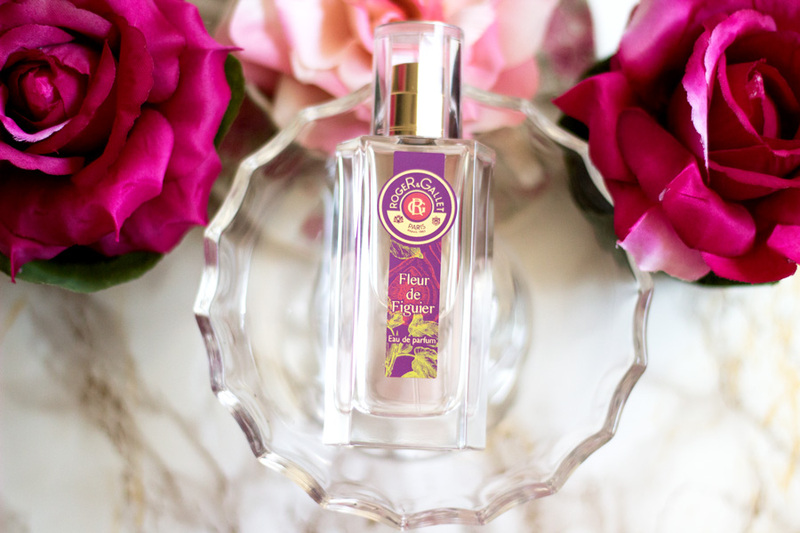 The Fleur de Figuier is one you would definitely want to show off on your dresser as you can tell from the pictures. You all know I am useless at expertly describing fragrances and notes so I would go by what the website says. 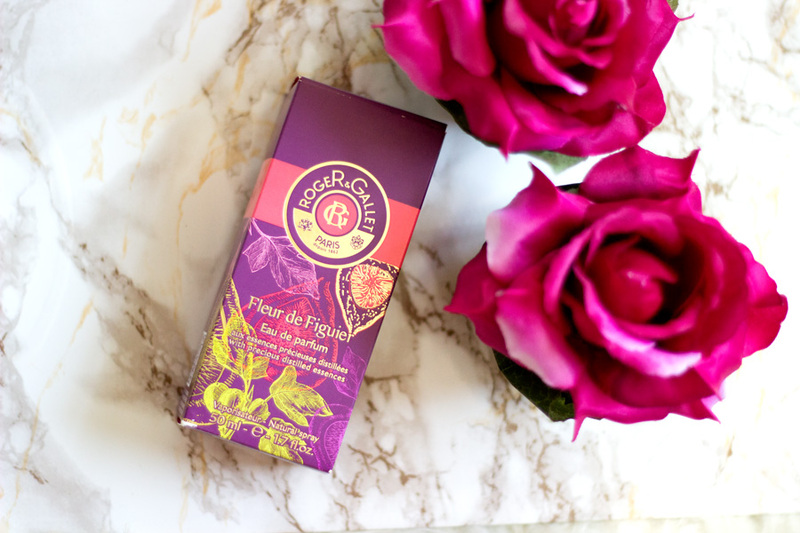 The name Fleur de Figuier translates to Flower Pear (according to Google) and yes you guessed right, it has Fig as one of its notes. 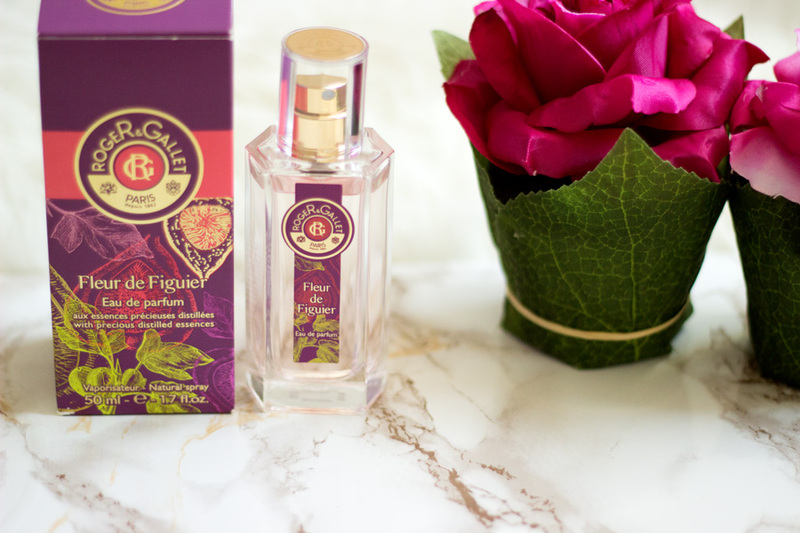 I am very partial to Fig, Tuberose, Patchouli and Musk because they are classy and sensual notes. I knew I would love this especially after I tried a sample in Marks and Spencer. 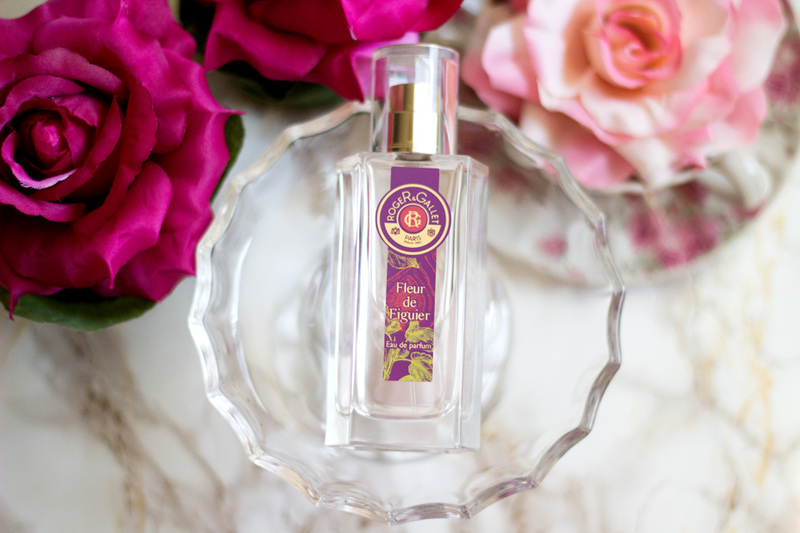 Its top notes are precious essences of Mandarin and Peppercorn and of course, Candied Fig. I am not surprised at all because the first impression I got was a really fruity almost-citrus fragrance. Once it gets absorbed, you get the middles notes of Violet Wood and Fig Pulp and then it finally settles to its base notes of Musk, Patchouli and Fig Nectar. 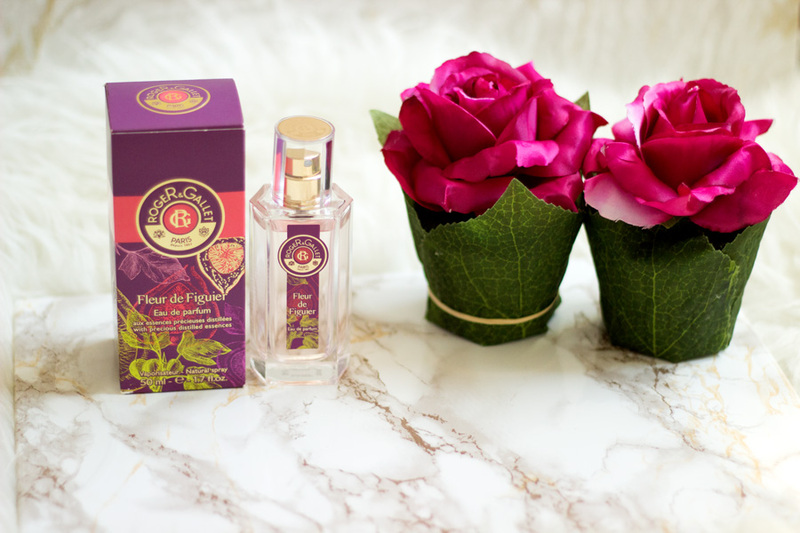 It is a really interesting fragrance and I love how the notes are expertly combined to give such an amazing scent. I would definitely describe this fragrance as a sweet fruity fragrance which surprisingly settles into a sensual musky scent. 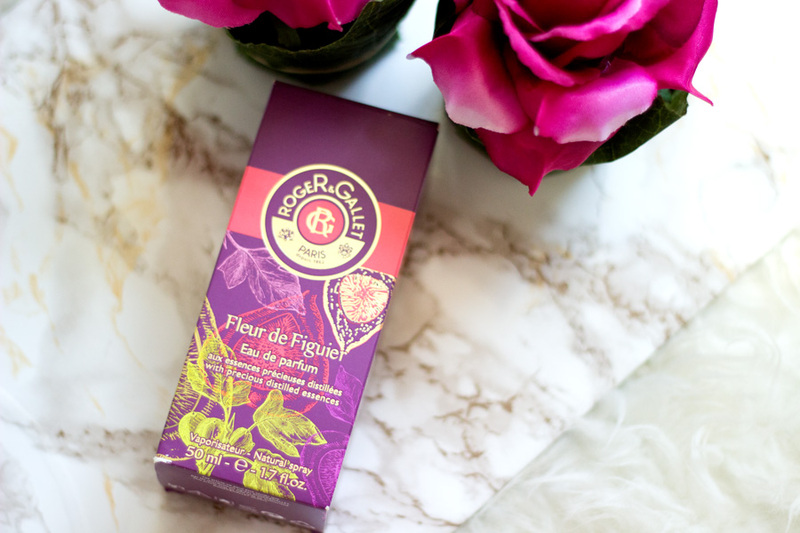 If you are into fruity or sweet fragrances, you would definitely like the Roger & Gallet Fleur de Figuier. If you also like woody or musky fragrances, this is one fragrance you need to try. 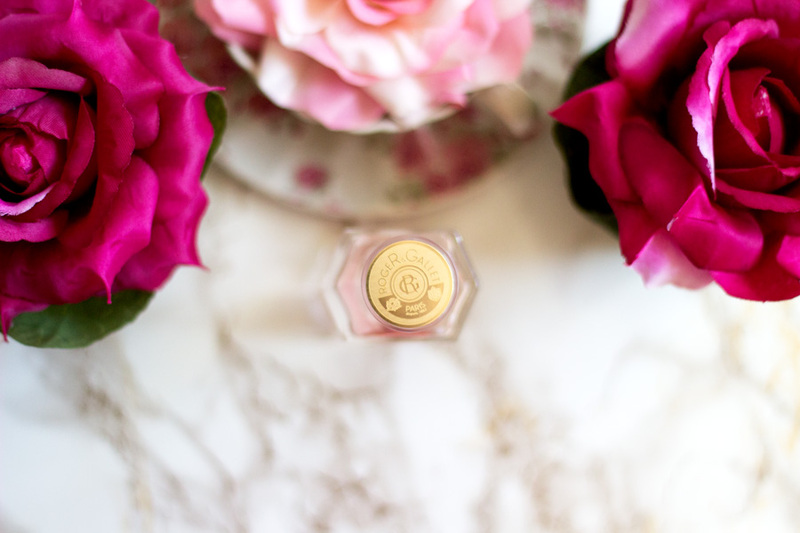 I am not overly enthusiastic about very sweet fragrances because I think they may be too girly but this one is so different because it is infused with Musk, Moss and Patchouli in its base notes. I think the typical age range for this fragrance spans across a wide range/spectrum. I think many ladies/girls/women would love this although I guess it depends on your scent preference. I am slightly inclined to think that its woody and musky base notes would make it more appealing to people in their late twenties and onward as opposed to younger ladies. However, as mentioned, I guess it all still boils down to preference and I don't see why any one can't wear any fragrance they like irrespective of their age range. I have seen several prices for this fragrance but they all start from £39.50 which I think is reasonable given the quality you get. I think its original RRP is £40.50 (as sold in Marks and Spencer and Escentual) but Feel Unique has it for £39.50. However, Escentual has 20% off everything on their website so it is a really good time to buy it if you were considering it. 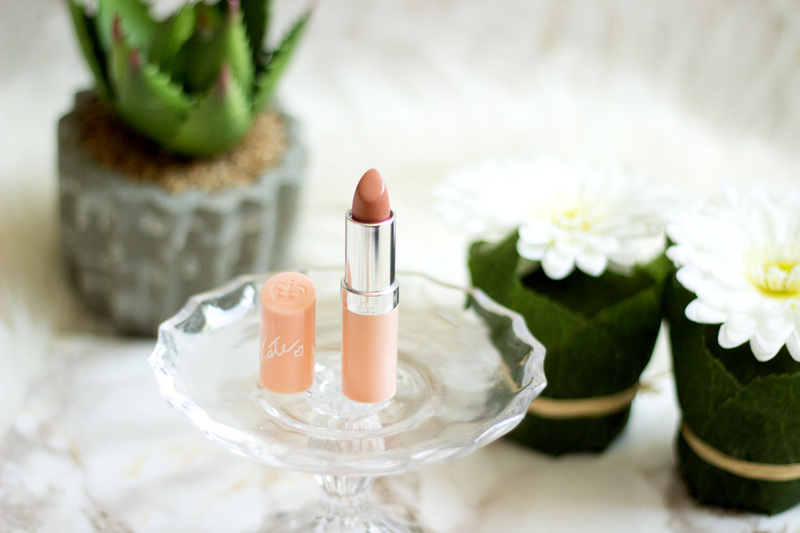 I know it is one I would definitely repurchase because I have absolutely enjoyed using it. I think it would be ideal for travelling especially if you are off to an exotic destination. I am so pleased I got a chance to try this lovely fragrance. 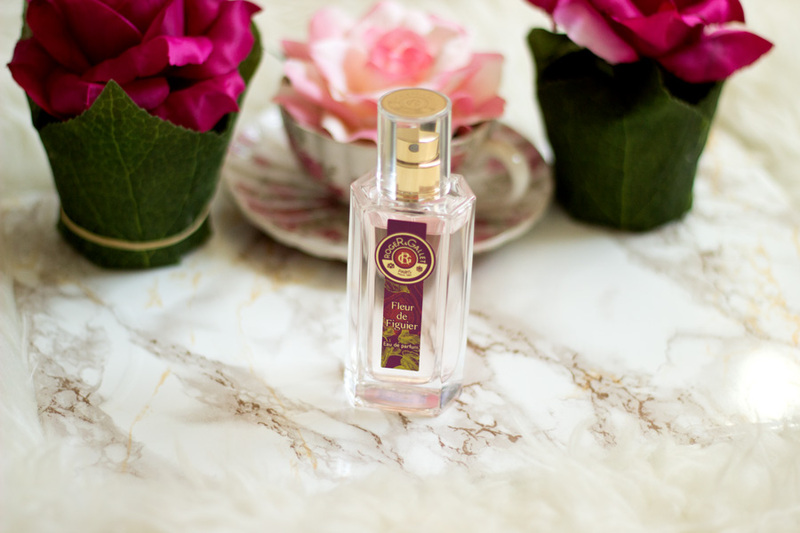 One of the main reasons why it has been one of my top and most used scents is the longevity. OMG!! 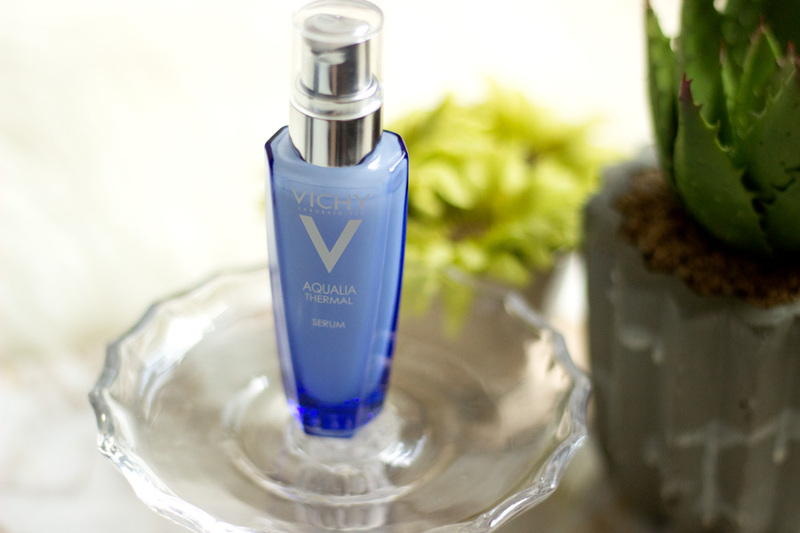 It really lasts a long time on my skin and I can still catch whiffs of it all through the day and at the end of the day. Many fragrances smell amazing but they fade through the course of the day. With the Fleur de Figuier, I have never had cause to re-spray at all. Once I use it in the morning, that's me done for the day. People always ask me what I am wearing because it is really impressionable but not in a strong way at all. 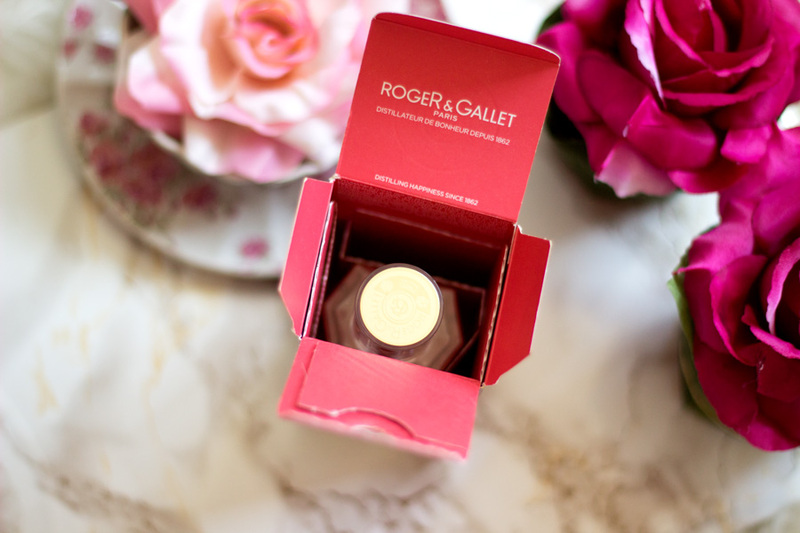 It's just simply lovely and embodies what a true EDP should smell like. That's it folks!! I hope you had an amazing weekend and I would see you in my next post. 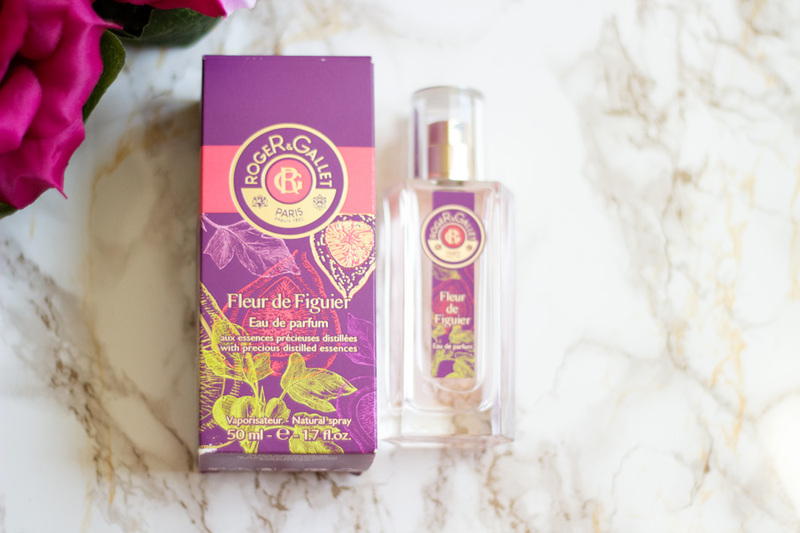 Have you tried the Roger& Gallet Fleur de Figuier EDP?